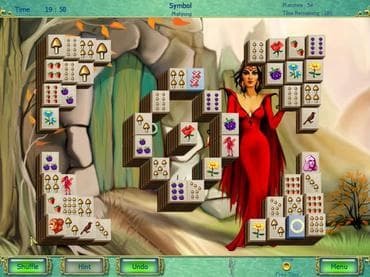 Bend your brain with 16 challenging mini games in this exciting mahjong, including beautiful hidden object scenes and tricky jigsaw puzzles. Experience the majesty of the ancient game of mahjong like never before as you travel through this magical land. Take on this exciting mahjong adventure for yourself with the full-unlimited version of Love's Power Mahjong today! Free Game Features: Test your skills in an exciting new mahjong adventure; Play 3 different types of mahjong, in Simple or Adventure mode. If you have questions about Love’s Power Mahjong game, please contact us using this form.